Stay in the know for tips, tricks and the lastest in tech! We promise you won’t regret it. Are you looking for a digital marketing key note speaker to deliver an engaging presentation at your next event or conference? Check our availability here. 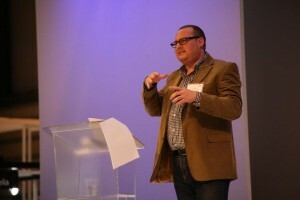 Our Managing Director, Jonny Ross, is a renowned social media speaker with strong roots in SEO. He’s spoken nationally and internationally on topics such as digital marketing strategy, ecommerce and CRO for retailers, search engine optimisation (SEO), social media for business and blogging to the top of Google. Jonny has the ability to adapt his SEO expertise to any audience, speaking at a wide range of events and venues from the Independent Venue Show to the University of York. Jonny is often described as being able to take the most technical pieces of information and making it digestible for people of all abilities. This unique style of speaking means that Jonny is an ideal SEO speaker whether he’s in a room full of social media newbies or SEO experts. One of Yorkshire Business Insider’s 2016 ’42 under 42′ business leaders to watch, Jonny has 20+ years experience in small business management, including building and running the UK’s biggest ecommerce designer sunglasses website. The Fleek Marketing blog has been named Best Digital Marketing Blog (2015, 2016 & 2017) by FitSmallBusiness. To book Jonny at your next event or conference, why not get in touch with a member of the Fleek Marketing team now? Fleek is based in Leeds, West Yorkshire. Known for a personal, responsive and great value for money service. Being extremely knowledgeable we offer a hands on service in bespoke web design, web development, SEO (Search Engine Optimisation) and Social Media Consultancy, training and management at a realistic cost. Digital Strategy is lead by our Digital Marketing Strategist Jonny Ross formerly of jrc.agency.